Don’t let their size fool you. These chiles pack a punch of flavor and more importantly, they have been spicing up Mexico’s taste buds for a long time in many ways. Different varieties of Piquí­n grow in bushes that have small and pointy leaves. The chiles are adorably cute! They are tiny and grow to be only 1 to 2 centimeters long, round and a bit elongated. When fresh, they start green and as they mature their color turns to a deep red that moves towards brown as they dry, which is how they are mostly consumed. 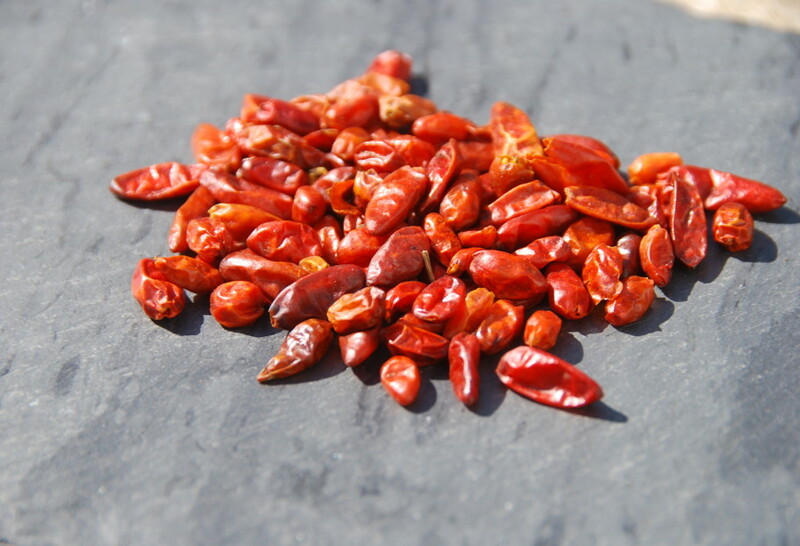 Piquí­n chiles have a deep flavor with hints of citrus and smoke. They are a bit spicy but incredibly pleasant. It’s most common to find Piquí­n already dried and ground in stores, and that way it can be sprinkled on top of almost everything! In fact, I bet you that any Mexican you may know has eaten Piquí­n sprinkled on something, if not regularly on many things, from pozoles to soups to salads to sweets to covering the rims of tasty drinks. It is also ever present in street food stands that sell fresh fruits, veggies and crazy corn, where these ingredients are drizzled with lime juice, sprinkled with salt and the ground chile. Do you know how to make a chile with piquin, garlic, sesame seeds and raw peanuts and some oil but not sure what kind. It is almost like a rub. sheff no hay otra que se lleve el primer premio.si nos puede desir donde podemos ver su programa se lo vamos a agradeser. Gracias Sarita!! Por favor contacte a su estación de tele pública, o donde halla visto el programa y pregúnteles por su programación. Tal vez estpan en pausa antes de pasarlo otra vez: estaremos en prioducción de la siguiente temporada pronto!